Definition at line 272 of file PredicateInfo.h. Definition at line 745 of file PredicateInfo.cpp. 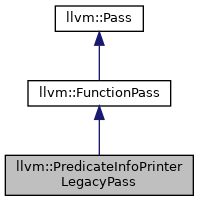 Definition at line 751 of file PredicateInfo.cpp. Definition at line 771 of file PredicateInfo.cpp. 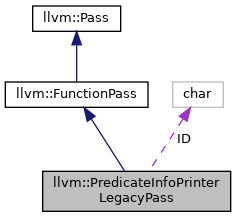 References llvm::dbgs(), F(), llvm::replaceCreatedSSACopys(), and VerifyPredicateInfo(). Definition at line 276 of file PredicateInfo.h.